Last year we were all amazed with a beautiful green dialed PAM693 Limited Edition created exclusively for Harrods. Fast forward to this past month where Harrods announced their second Limited edition in collaboration with Officine Panerai. 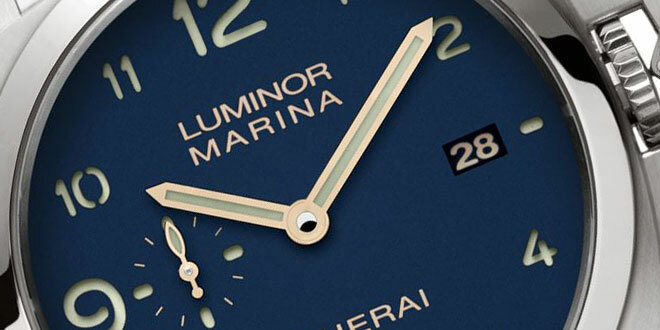 The latest edition to their Limited Edition collection is the PAM745 Luminor Marina Titanium. This Limited Edition watch features a 44m titanium case which houses a beautiful deep blue dial with full Arabic numerals around. 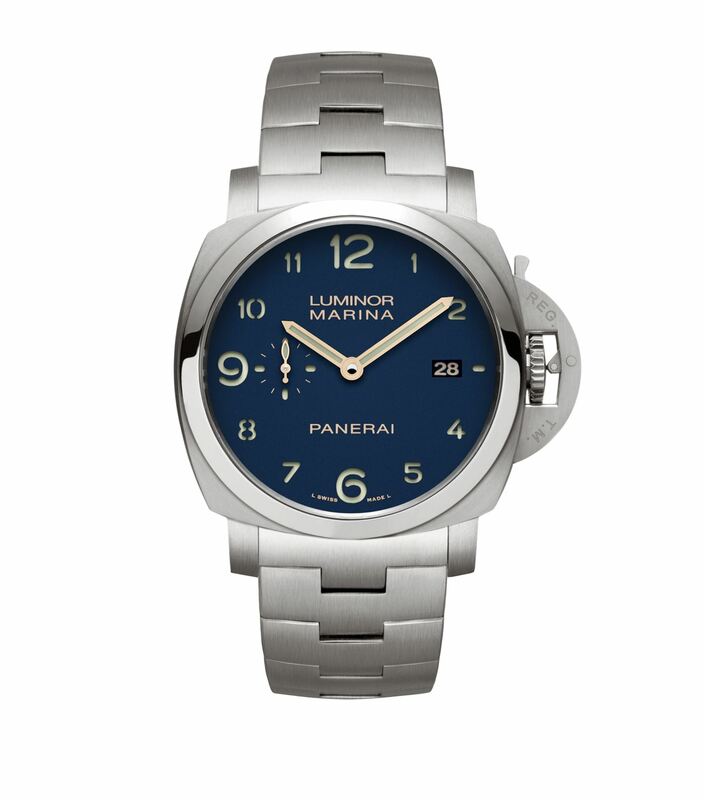 They opted to go with gold hands which contrast nicely against the blue dial. 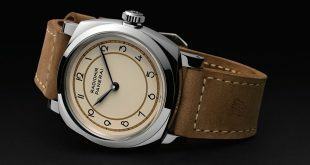 It features the date at the 3 o’clock position while a sub second dial is on the opposite 9 o’clock side. 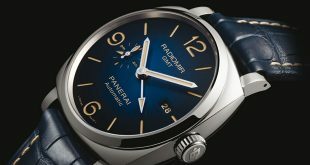 The layout is very much like the classic PAM359 that has been a staple in the Panerai family. The PAM745 is draped nicely with a matching titanium bracelet with a deployant clasp. 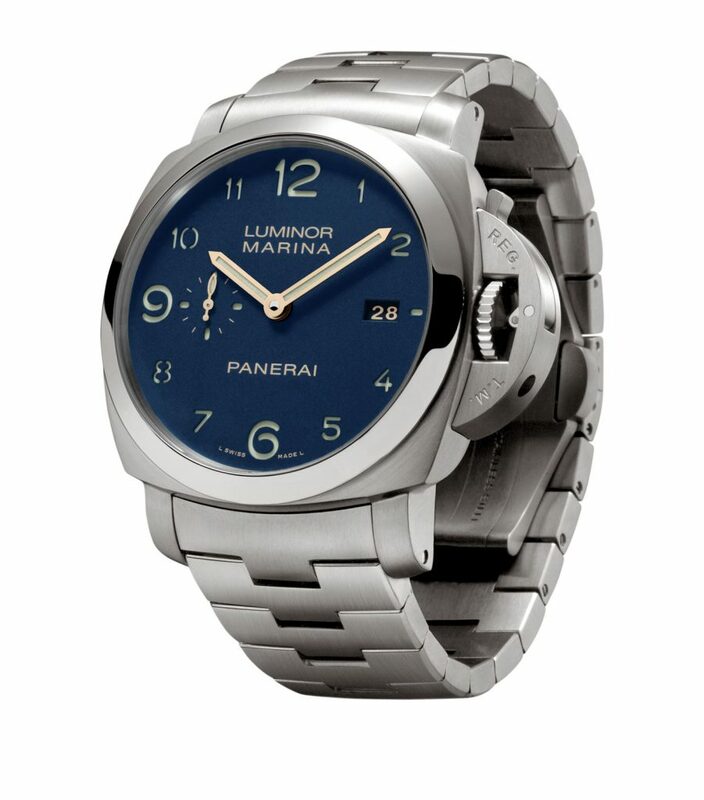 As an added bonus they have a matching blue leather strap with a titanium buckle as well as the first ever colorized Panerai Rubber strap in blue for a change of pace. 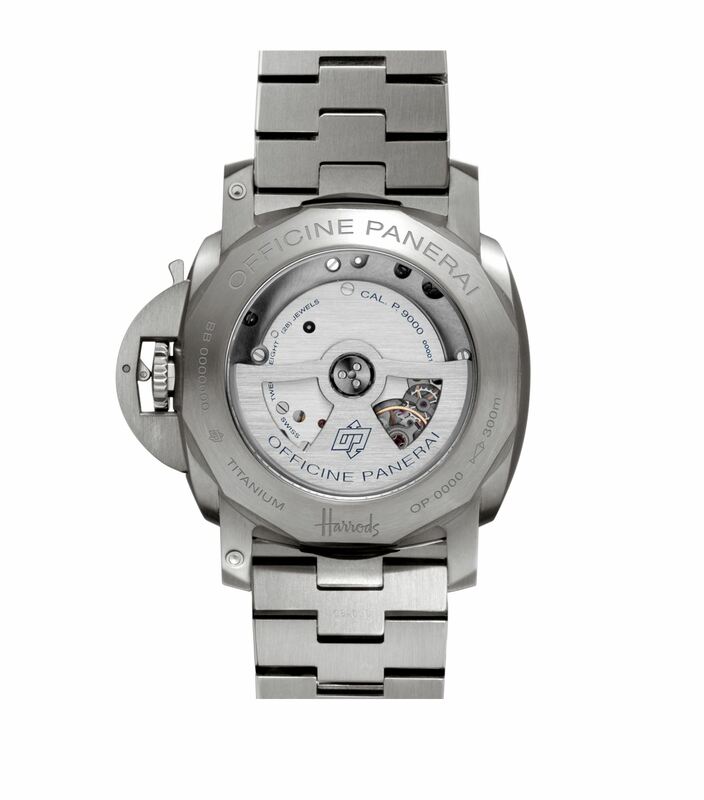 Giving life to this piece is the workhorse P.9000 in-house automatic movement with a 72hour power reserve. You can view the movement through the sapphire crystal case back. The PAM745 is water resistant up to 30 bars or 300 meters. Since it is using the older P.9000, the watch has the more originally thick Luminor Marina 1950’s case as opposed to the new versions that you are seeing with the PAM1359 or PAM1312 for example. 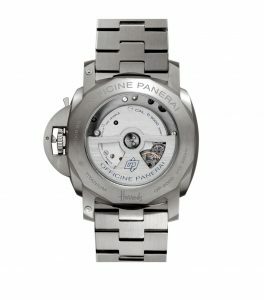 Those use the new P.9010 movement which is a slimmer version of this particular movement allowing Panerai to slim down the overall case thickness. Thankfully the case and bracelet is made out of titanium or this beast of a watch would have really had some serious weight to it.